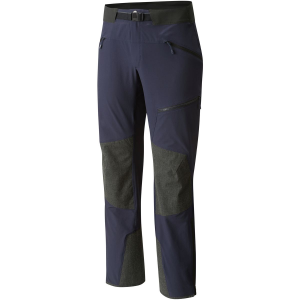 DPS's Cassiar shape is designed with firmer snow and fast frontside laps in mind, and, when paired with the Alchemist construction that adds impressive dampening properties for a smooth ride in chop and on fresh corduroy alike, the Men's Cassiar 94 Alchemist Ski is born. 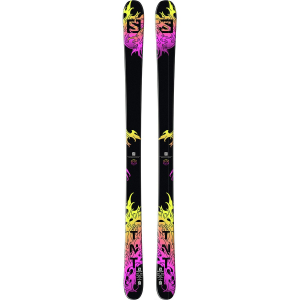 Its 94-millimeter waist makes it the widest offering in the Cassiar lineup, giving this ski the versatility to rip lap after lap on pristine groomers, but won't leave you high and dry if you enjoy sniffing out softer snow. 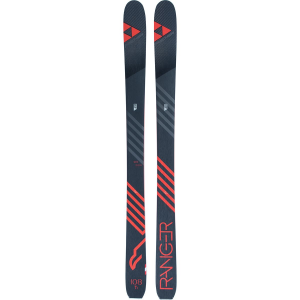 The heavily rockered tip and flat tail is partly to thank for the Cassiar's nimbleness and locked-in feel through each turn, while a helping of underfoot camber generates power out of each turn and delivers a reliable edge hold on really firm snow. 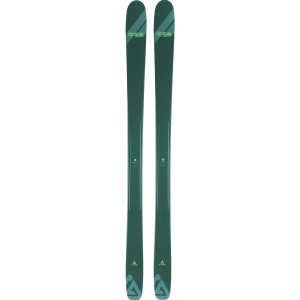 DPS's Alchemist construction sports an aspen wood core, which gives the ski its lively feel, but the real claim to fame is its signature prepreg carbon fiber laminate with added dampening technology that sandwiches the core. This is what's responsible for the Cassiar's incredibly smooth, stable feel, whether you're enjoying leftover storm snow or navigating crud.